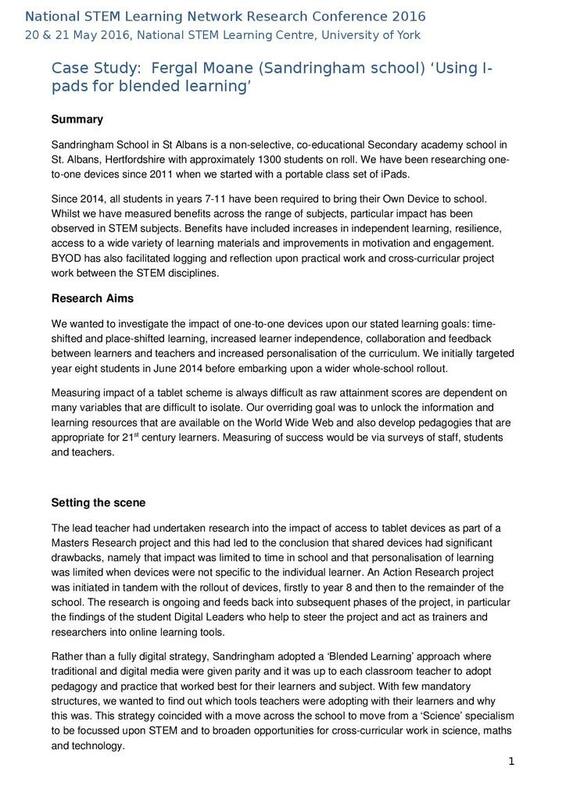 Sandringham School in St. Albans, Hertfordshire has operated a one to one Bring Your Own Device for three years. This article explores research undertaken in school to measure the impact of this initative, coupled with the pedagogic approach of 'Blended Learning'. Implications of this research are explored and links are provided for teachers wishing to know more. Sandringham's Teaching and Learning website http://www.sandagogy.co.uk/learning/ contains further examples of best peadogical practice when using technology across the curriculum to support learning.